This is a very big category. 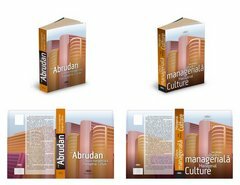 I have included here: annual reports, catalogs, brochures, flyers, folders, leaflets, business cards, greeting cards, book covers and so on. Works that needed to have a layout for print. There are going to be a lot of works on this page, so I will probably have to split it in some more smaller categories. Some day maybe. Here is a list of all the works on this page. 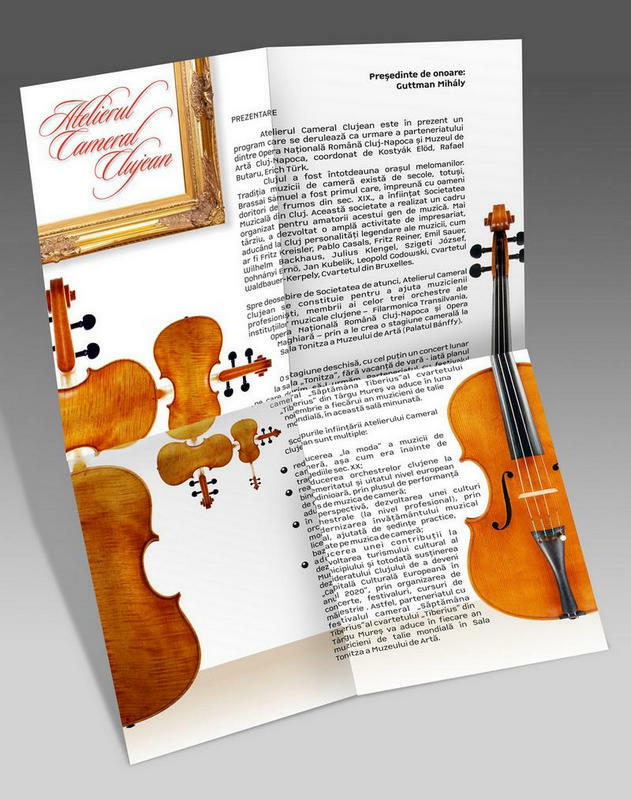 Folded program for a Chamber Music Recital. 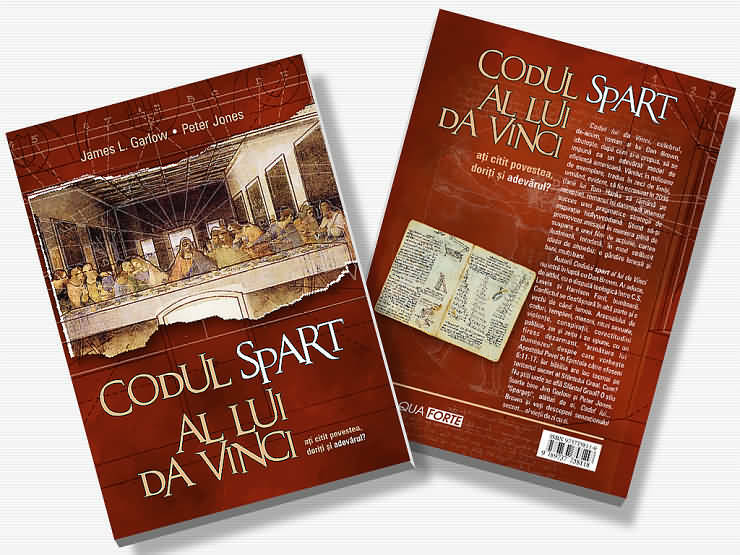 I did several book covers lately for the ASCR, Publishing House. The final book cover is below. The illustration is also done by me, especially for this book cover. I am also showing the variations I did. Click on the images below to see them bigger. 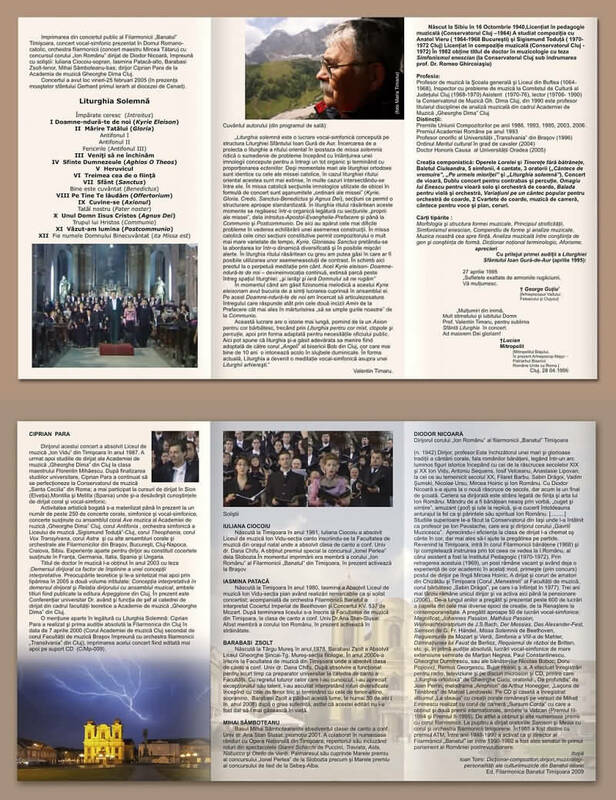 This is a small program for a musical event. Click on the images below to see them bigger. 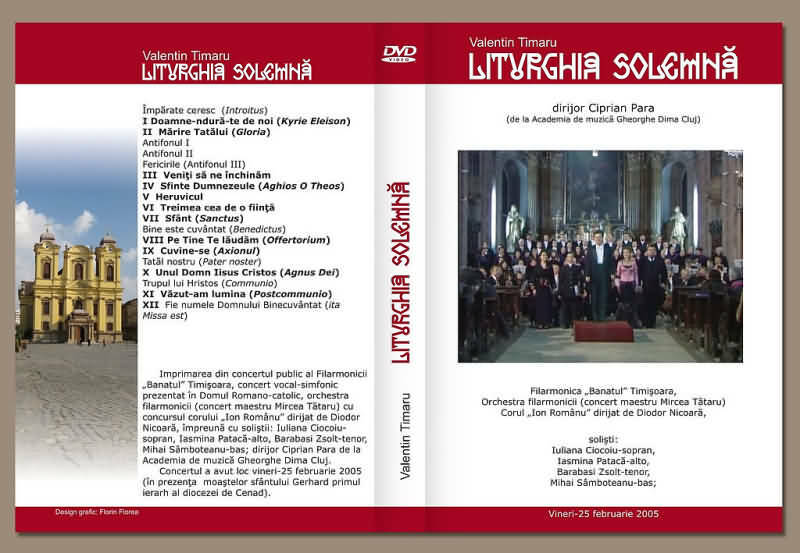 I have done the DVD cover, label and a booklet for Valentin Timaru's "Liturghia solemnă". 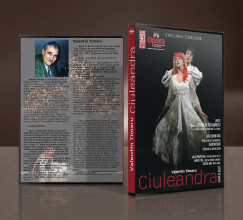 Another DVD cover, label and booklet I have done for Valentin Timaru's "Ciuleandra". 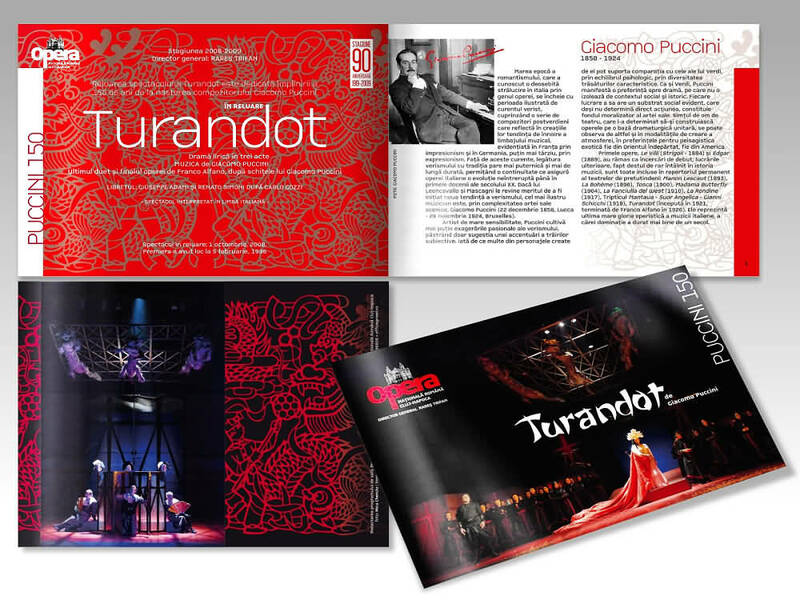 16 pages and covers booklet for the Turandot opera play. Also printed by ArTeQ Print. 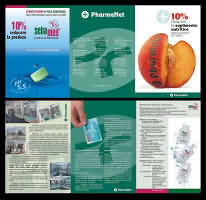 I did some folded leaflet and posters for some of promotions offered by PharmaNet. Works were done through XHC Agency. 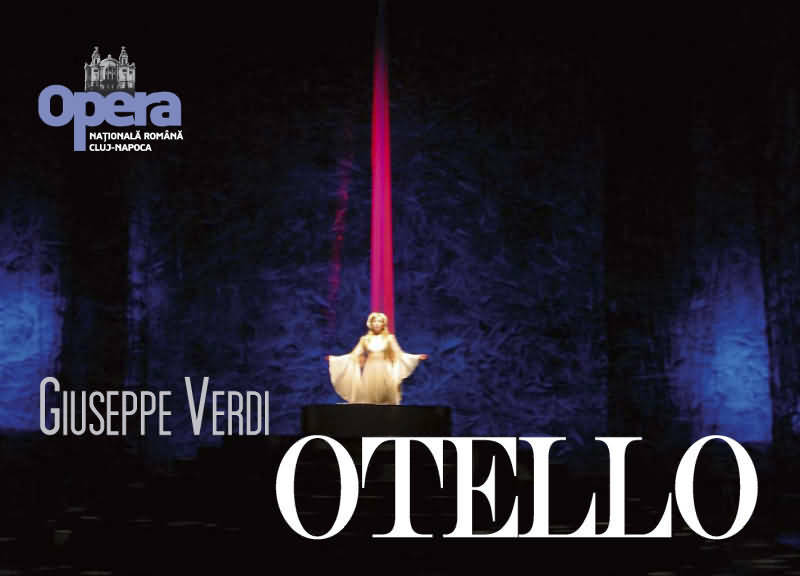 16 pages and covers booklet for the Othello opera play. It is a wonderful print by ArTeQ Print. 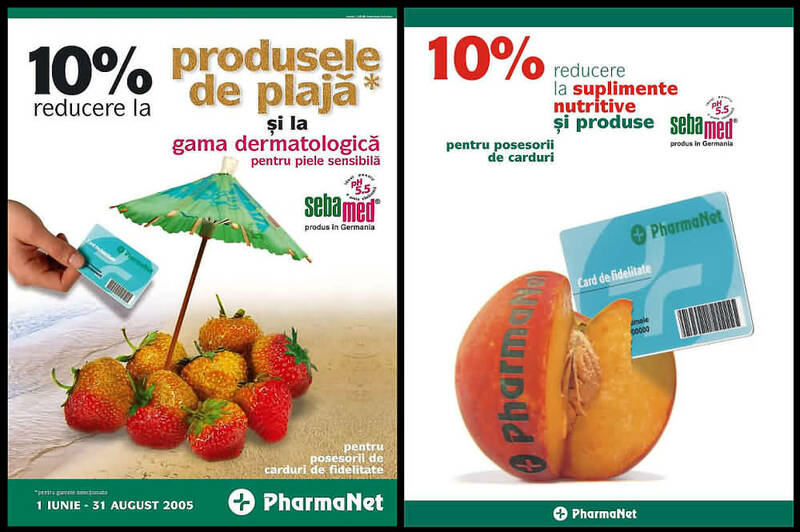 They do great job and I recommend them to any romanian agency that has to print catalogs and booklets and so on. 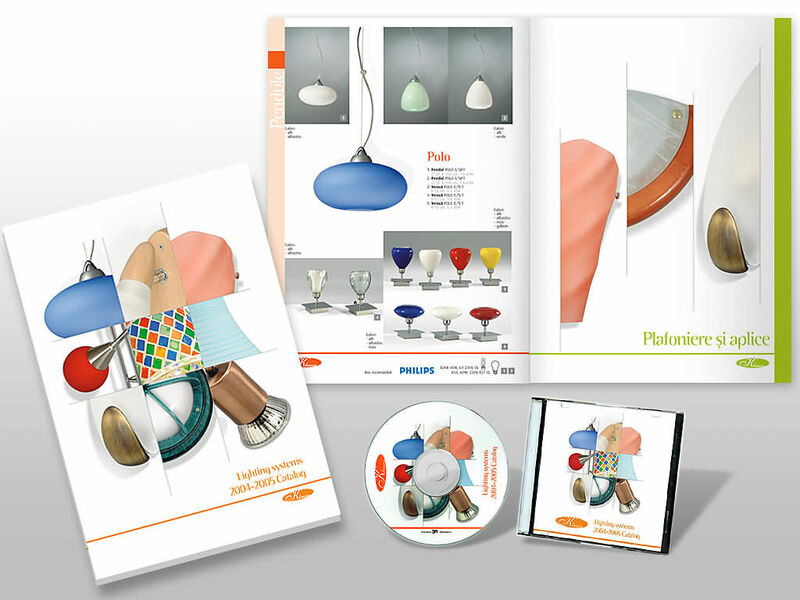 48 pages furniture catalog plus covers, size 215 x 150 mm, full color. Images were all corrected, adjusted and retouched. 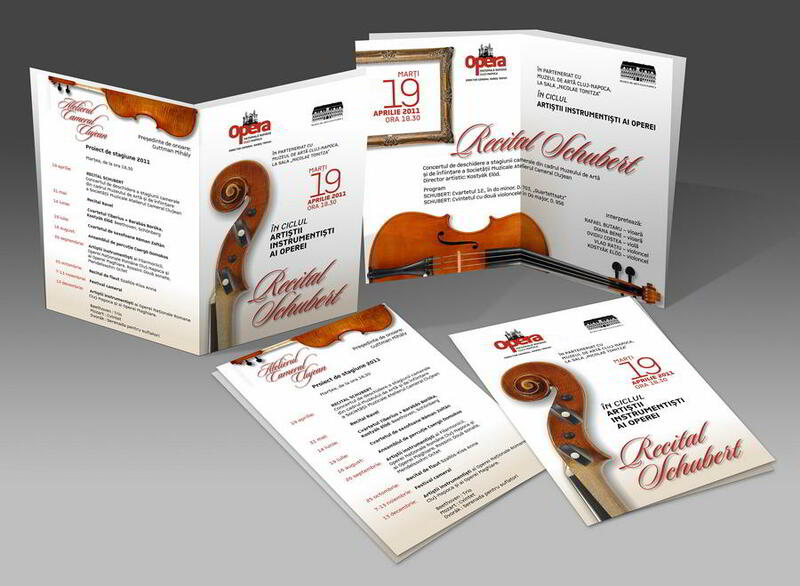 Printed by ArTeQ Print. 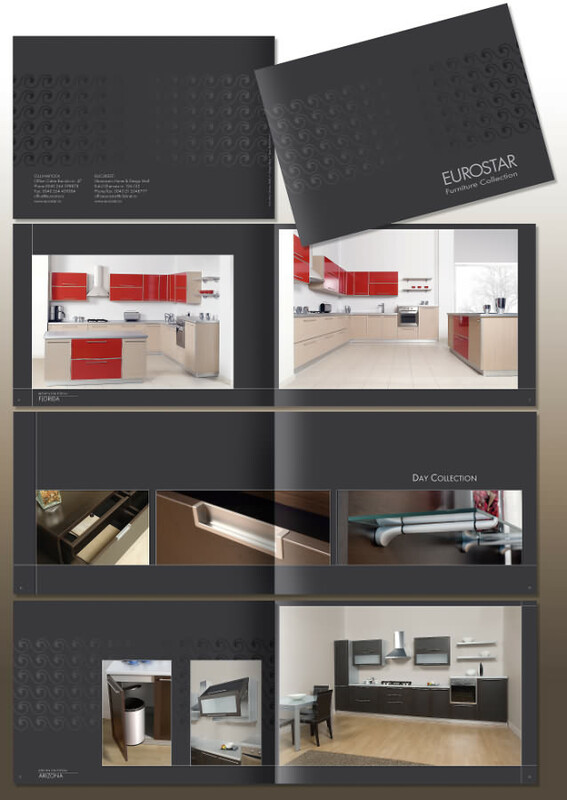 This is the latest leaflet I did for this client. Work included photo corrections and adjustments. It is a new fashion collection leaflet. 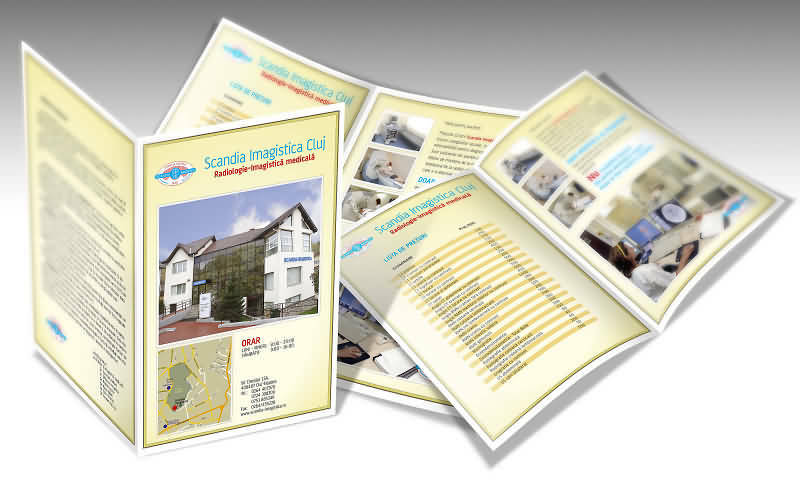 This is a full color print, 400 x 210 mm, 4 times folded leaflet. 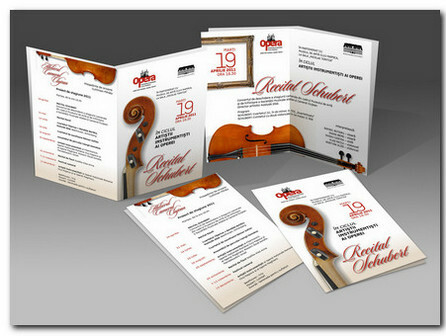 Printed by ArTeQ Print. 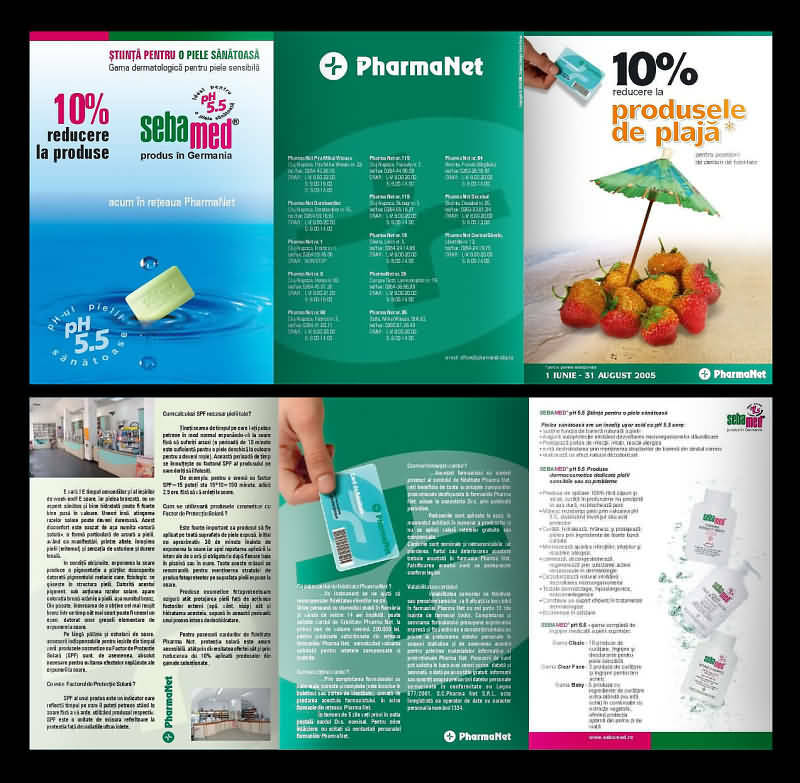 Among other materials done for this client I have done this brochure (double page leaflet) that is modified, fro time to time, so that it presents all the capabilities of this medical centre. 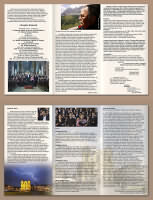 This is A4 folded (A5 folded and trimmed), full color. It is beautifully printed by ArTeQ. 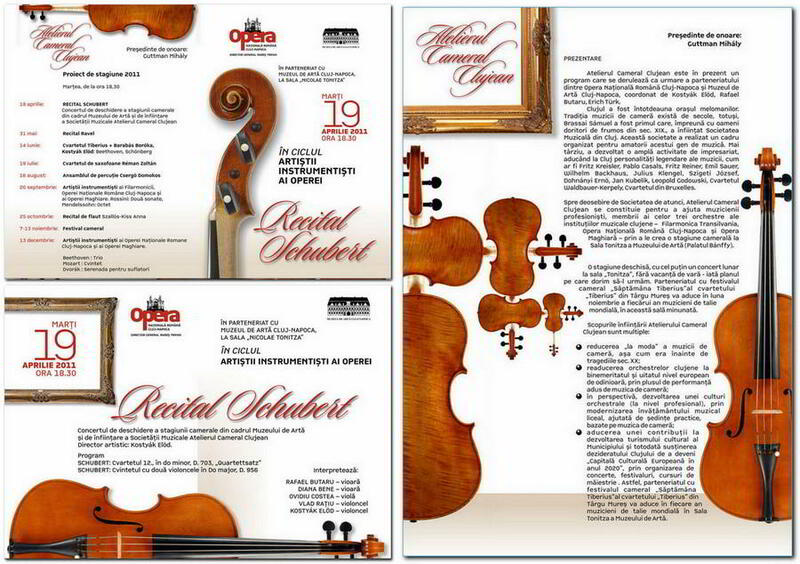 Among many of the printed materials I do monthly programm of the Opera House. Most of the time I collaborate with Rares Trifan, the general manager. Bellow are some of the latest materials. 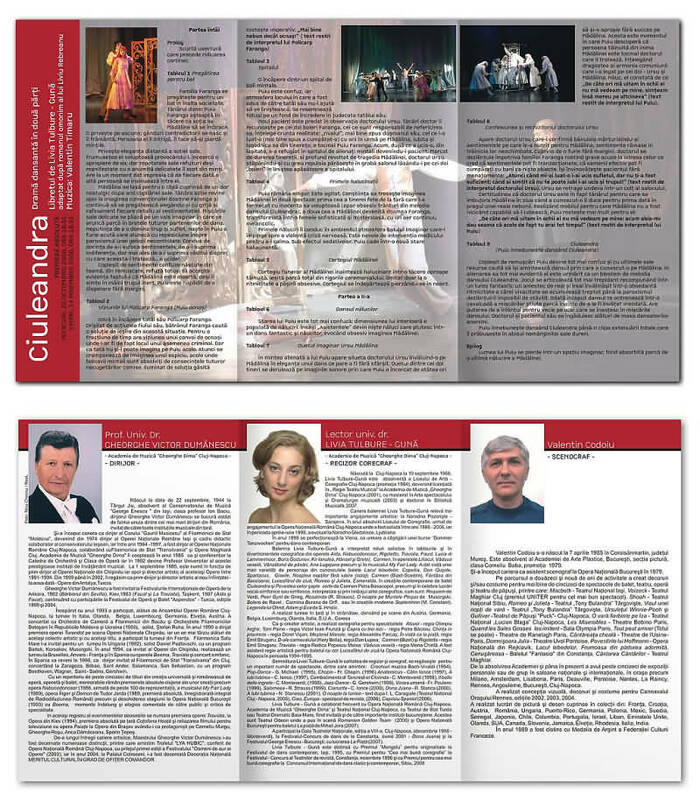 The programm is now an A3, full color, both sides and folded 2 times. 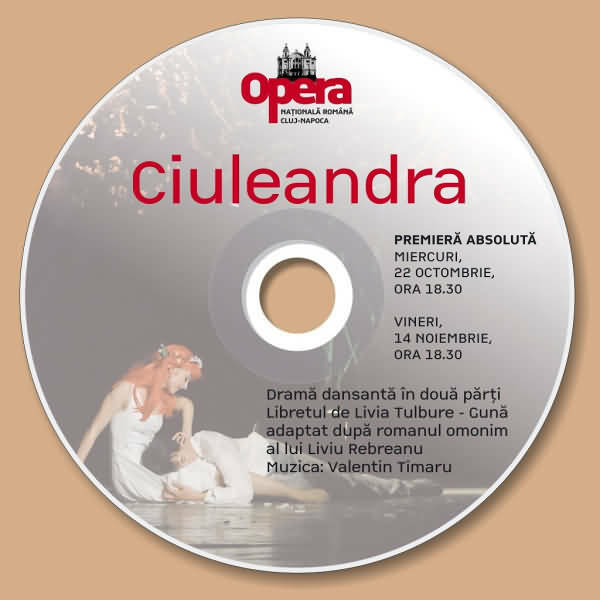 Printed by ArTeQ. The Merry Widow (Die Lustige Witwe). 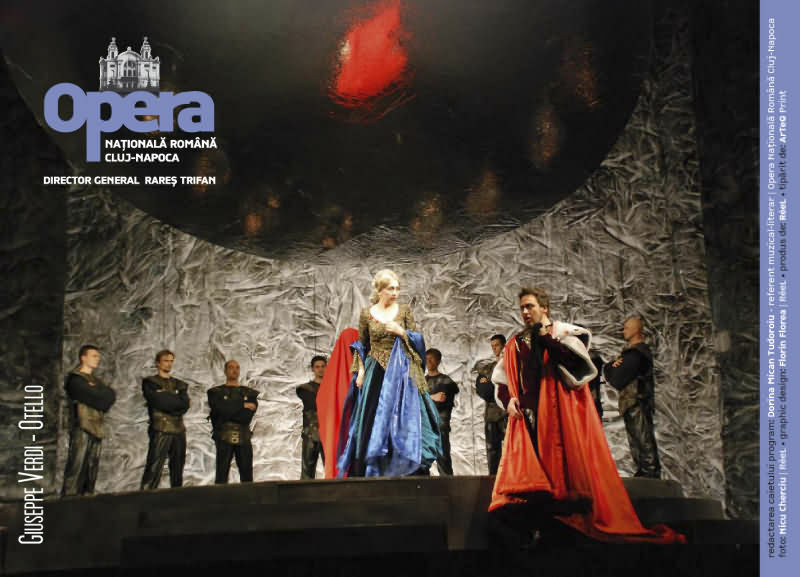 Booklet for the play. This was done in 2 colors printing (Duotone). A5 landscape, 16 pages + covers. 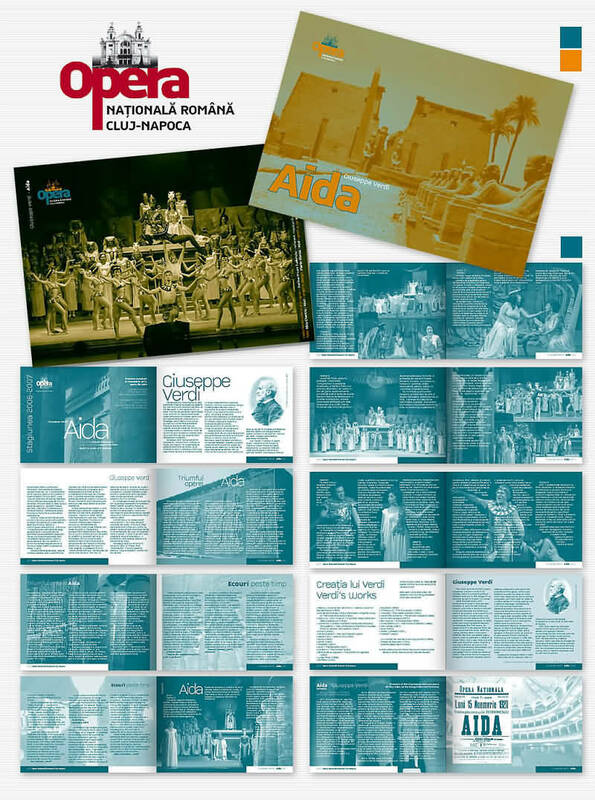 Aida booklet (Duotone cover, Monotone / one color - interior), 16 pages + covers, A5 size, landscape. 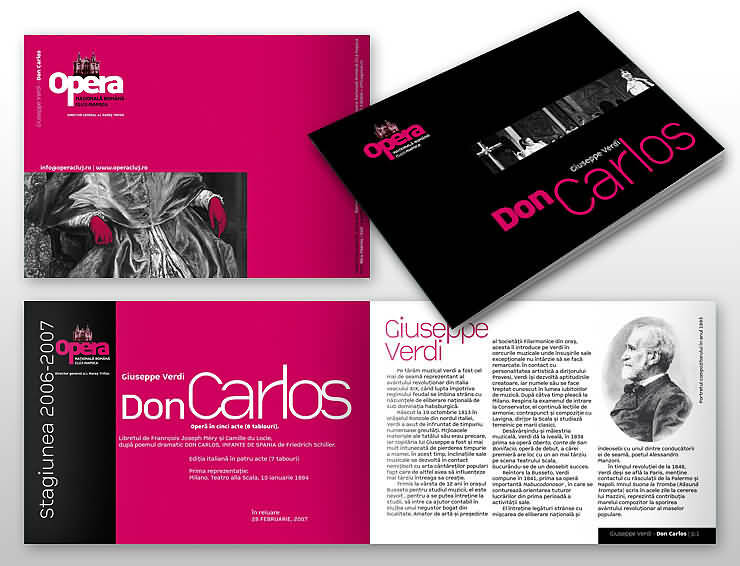 Don Carlos booklet. Also in 2 colors printing (Duotone). This is A5, landscape and 18 pages + covers. Together with my colleagues at ReeL I did photo corrections and the layout for the lighting systems for this client for several years now. 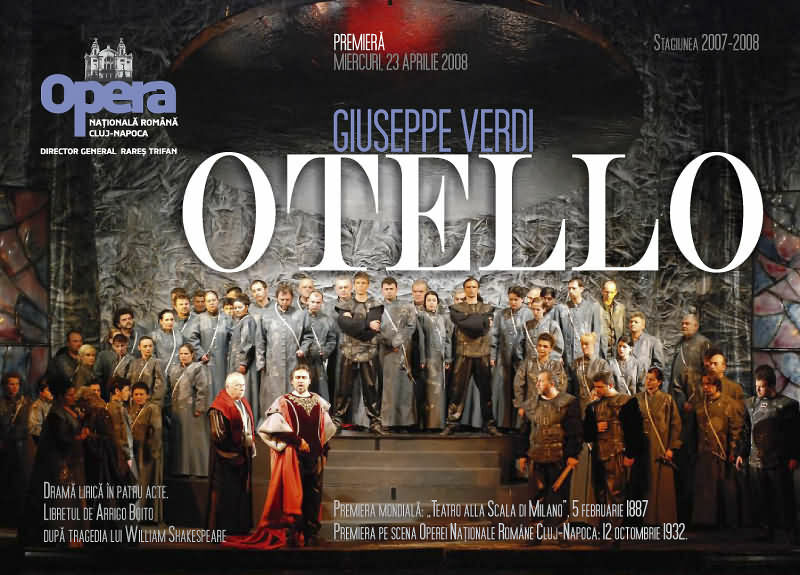 The images bellow show the catalog (140 pages, size B4) and the CDs and are from an older one, but it was well done and I like it, so I show it here. 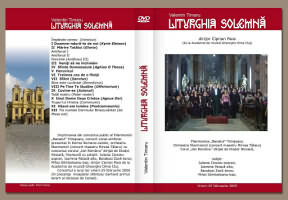 The last version, A4 and about 164 pages (printed by ArTeQ), will be placed here too soon. 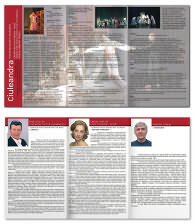 There is also an online version. 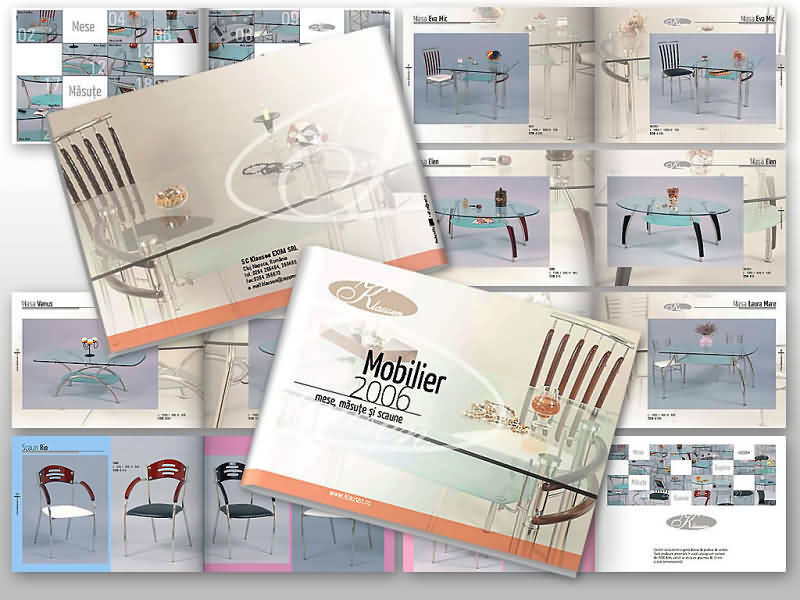 Products catalog of furniture sold by this client. Our company (ReeL) did the photos. I have color corrected all the photos and did the layout. I also did the online catalog. This one is A5 and has 28 pages + covers, full color print. 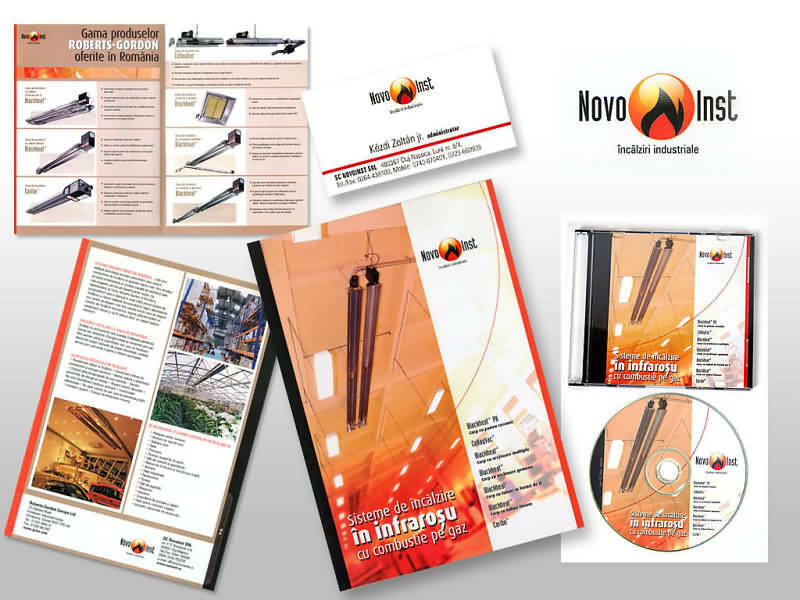 Double page leaflet (A3 folded, both sides full colors printed) and PDF User Manual of the heating system on CDs (cover and label). I also did the logo for this client. 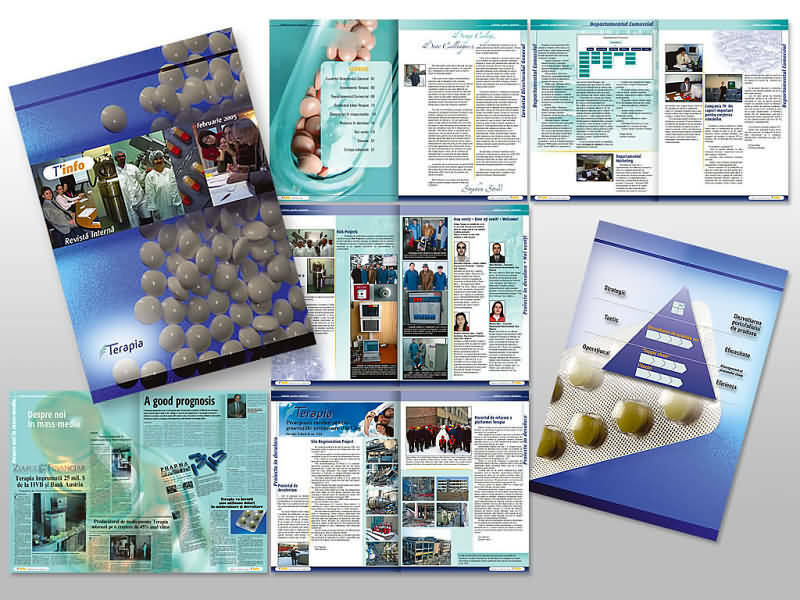 I did for a while the layout for quaterly internal magazine for Terapia, a pharmaceuticals company. 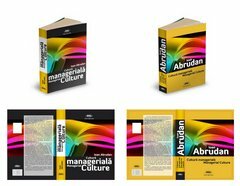 Click on the image bellow to see sample spread pages from one of them. 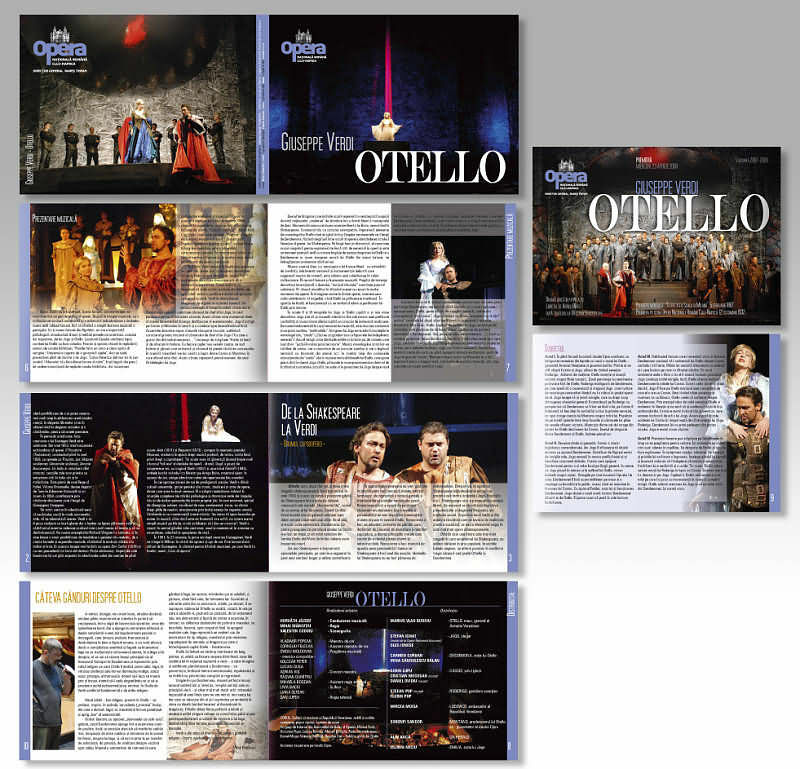 The magazine was A3 folded (A4 trimmed), full color and had 24 or 32 full color pages + covers. I also had to color correct all photos. 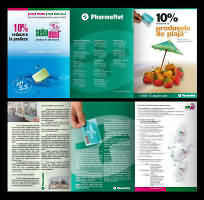 I did the layout for the internal magazine of PharmaFarm, a distribution company for pharmaceuticals. 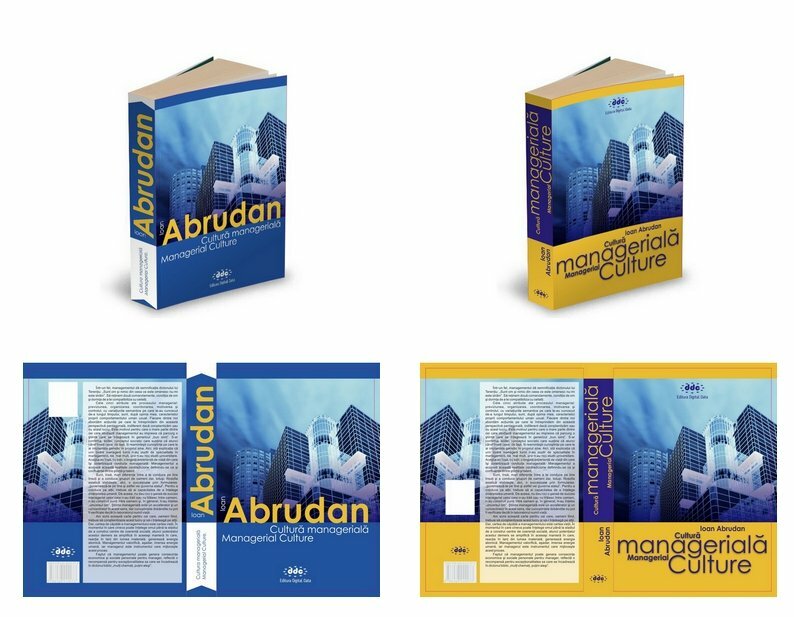 Click on the image bellow to see sample spread pages from one of them. 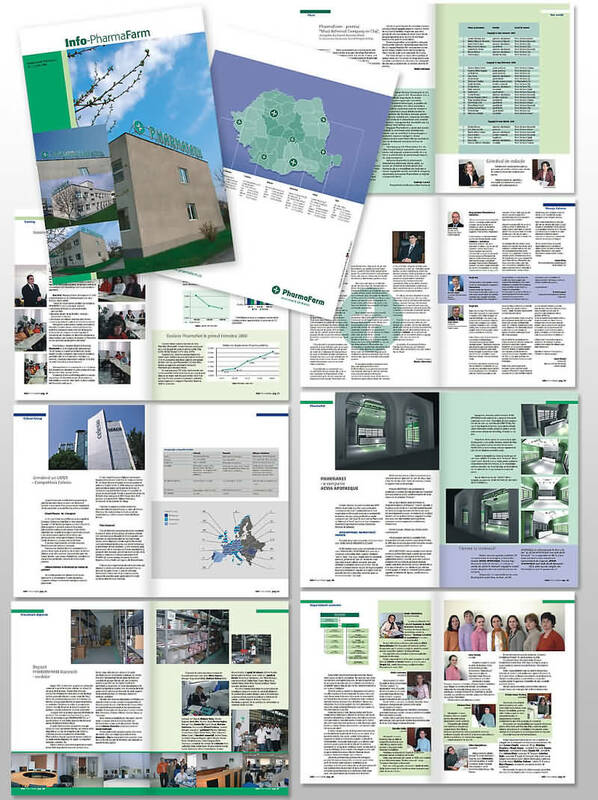 The magazine was A3 folded (A4 trimmed), full color and had 24 or 32 full color pages + covers. I also had to color correct all photos. 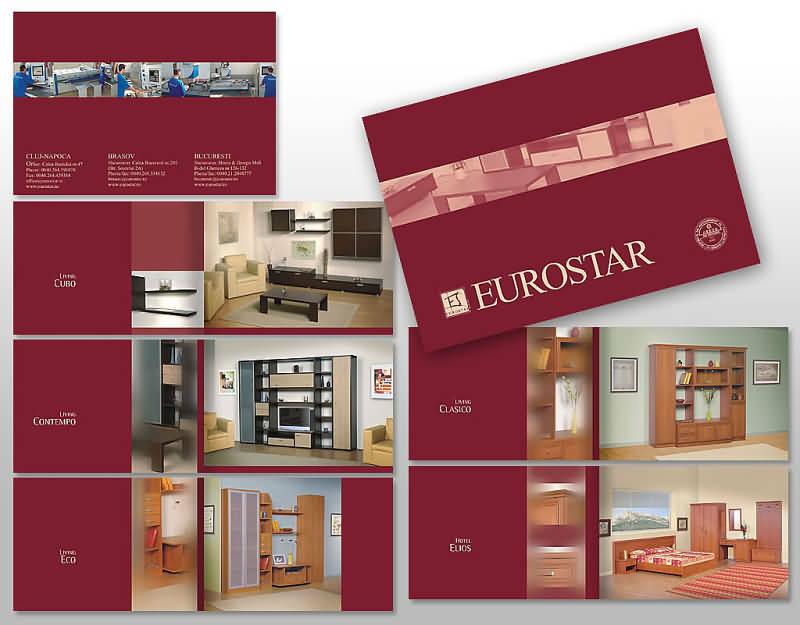 For a couple of years now we (ReeL) are working for this client, Eurostar, a local furniture company. 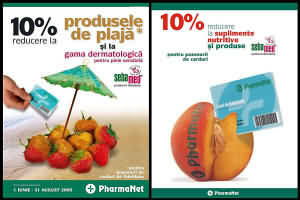 I did several catalogs and photo manipulation and color correction for them. The latest can be seen on the photo retouch page. 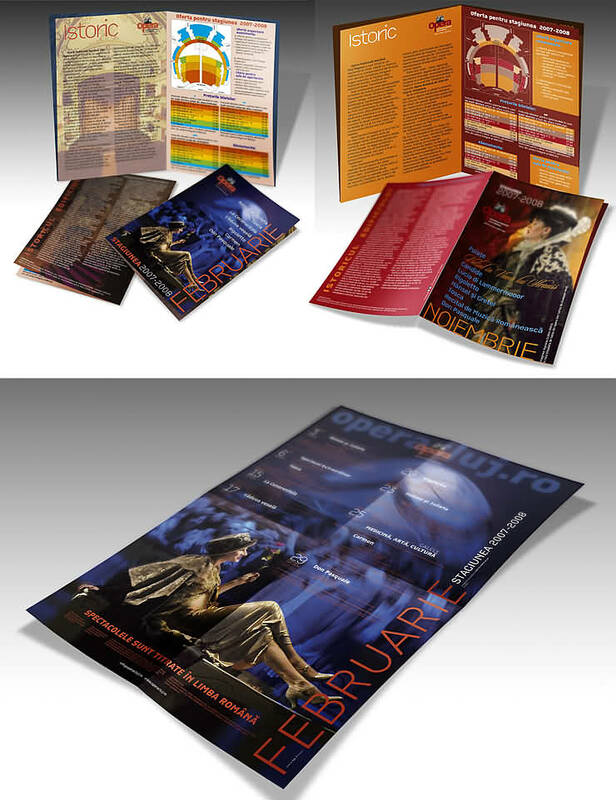 The brochure is (A5 folded and trimmed) and has 8 pages + covers, full color print. 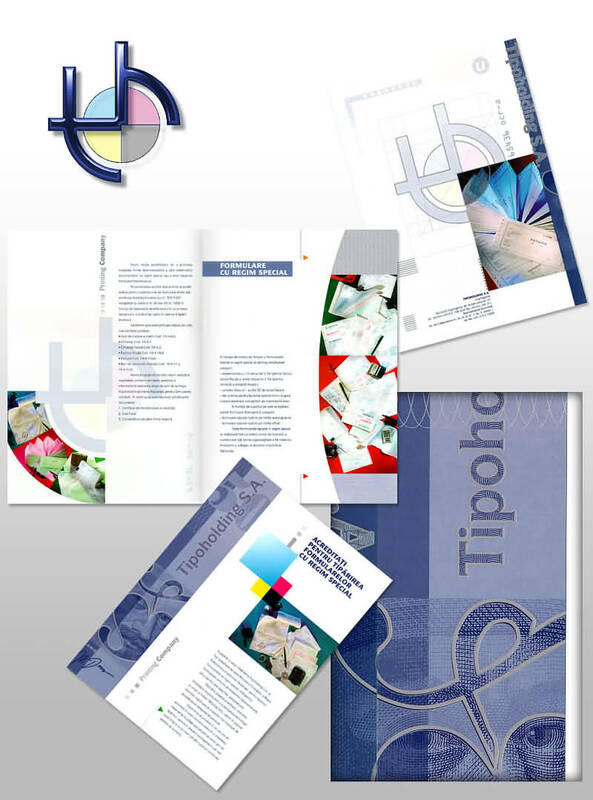 For this client, Eurotrend, I did several materials as wll as the logo. 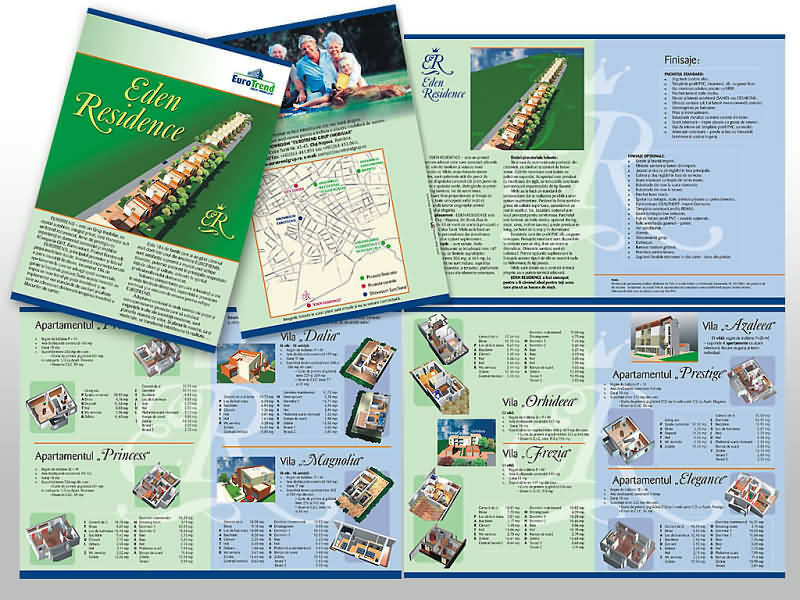 This brochure is for a set of houses they built. I also did the logo (visual identity - brand - for this area). 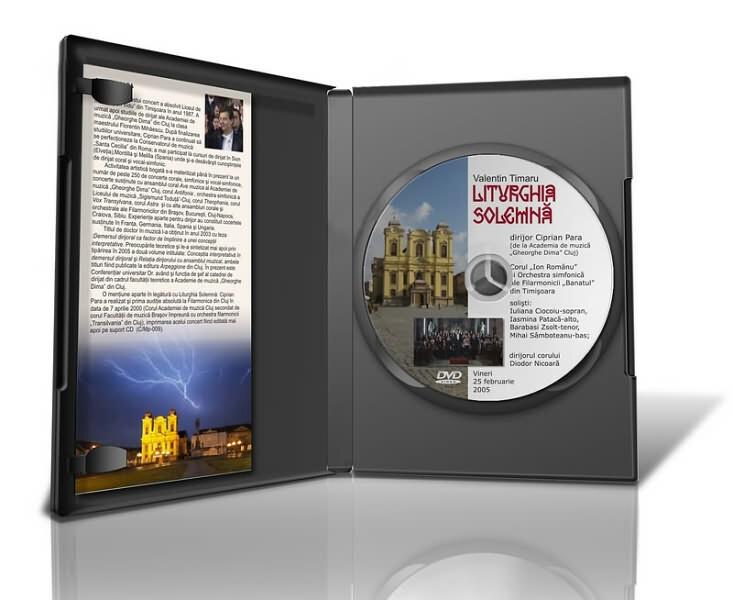 The brochure is (A5 folded and trimmed) and has 4 pages + covers, full color print. I did many book covers. Some were for the AquaForte Publishing House, some for other companies. 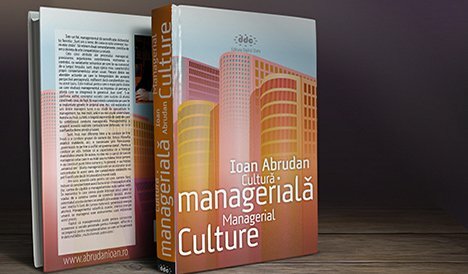 This book had great success (I hope the cover helped too). Aprox size A5. This is an old one but I like its colors so I had to show it. 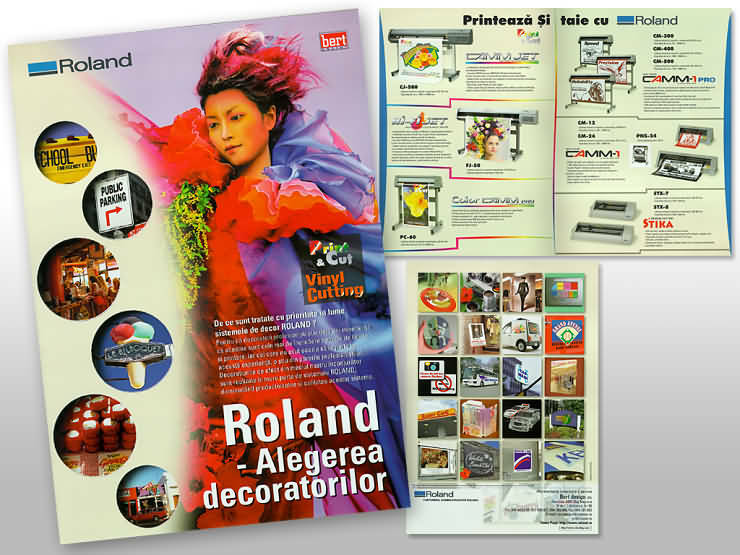 It is a double page leaflet for a local company selling Roland products. This is A3 folded. 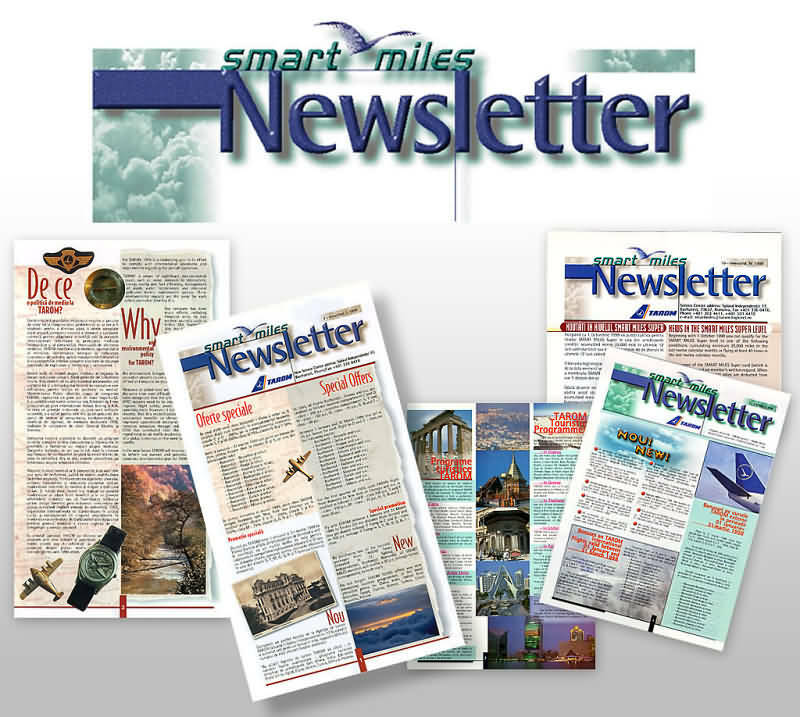 Monthly newsletter for the Smart Miles (frequent flyer programme) of the TAROM (Romanian Airline). I also did the logo and a guide that is shown in the logo page. Collaboration with Tipoholding. The size is smaller then A4, one page full color on both sides. I also did the masthead. Set of double page leaflets showing the different printing capabilities of the holding. I also did their logo. 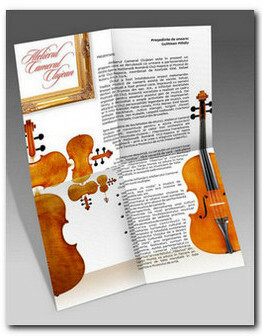 The size is A3 folded (A4 folded and trimmed), full color on both sides.